Another busy week in bullpens across baseball. We’ll get updates from the committees in Milwaukee and Anaheim, followed by some closers who have been shaky over the last week, including Tampa Bay, Atlanta, and the Chicago White Sox. Then, on to Baltimore, a situation that seems no longer in flux, and a couple quick updates from St. Louis and Detroit. As always, we’ll finish on a positive note with the three stars of the week. Corey Knebel’s injury looked bad as he collapsed on the mound after throwing a pitch and needed to be helped off the field. The Brewers announced that he suffered a hamstring strain and will miss a ‘minimum of 6 weeks’. The news could be much worse, but it sounds like Brewers fans and Knebel owners should prepare to be without the RP for closer to 8 weeks. I told you last week that I liked Jacob Barnes to get the first save chance in Knebel’s absence. Barnes got the opportunity on Saturday, but muffed it as he gave up 4 runs, 2 earned, on 2 walks and 3 hits. Barnes took the loss. Barnes returned to action in the 8th inning a couple days later and recorded a hold, striking out the two batters he faced. Matt Albers got the save chance that night, and he also muffed it. Albers gave up the tying run on 3 hits, though the Brewers took the lead in the top of the 10th and Albers stayed on to seal the deal, getting credit for the win. On Tuesday, it was back to Barnes for the save and Barnes blew it again. He entered the 9th inning with 1 out and a man on second. Barnes threw two wild pitches allowing the tying run to come around and score. The next night, Brewers manager Craig Counsell went back to Matt Albers for the save. Albers was able to convert the opportunity but gave up two hits in the process. Actions to take: No one has taken the lead in this committee. Albers has the slight edge as he’s been better the last week, but Albers hasn’t exactly been shut down either. If you hold either Albers or Barnes, keep holding until we one of the two converts two or three saves in a row. Other closer candidates Josh Hader and Jeremy Jeffress appear steadfast in their middle relief roles, so I wouldn’t hold either expecting saves, but Hader is worth owning regardless of his role. Kenyan Middleton saw his second save of the season on Wednesday in a 5-out performance, though he did allow an earned run. Blake Parker has been better of late, but it seems that Middleton has surpassed Parker as Sciocia’s go-to guy right now. Actions to take: I expect the situation to remain fluid, but if Middleton continues to get 4 and 5 out save opportunities he’s going to be very valuable for fantasy teams. If Middleton is available go and add him. If you own Parker, I’d make the swap for Middleton if he’s available, otherwise sit tight for now. Unfortunately for Cam Bedrosian owners, he seems resigned to a middle relief role. He isn’t helping his cause with a 7.71 ERA. Feel free to cut bait. Nate Jones picked up the save on Wednesday, striking out two against Tampa Bay. Joakim Soria was available, so it’s a bit peculiar he didn’t get the call. Jones is the better reliever of the two, but Soria has the closing experience. I suspect the Sox are looking to get Jones some experience closing games in order to boost his trade value, as he’s a free agent after the season. Actions to take: In saves leagues, Jones may have been drafted and dropped because he did not see a save chance until this past Wednesday. If he’s available and you are looking for saves, he’s a great add. I think we’ll see a combination of Soria and Jones going forward, so Soria owners should not panic too much just yet. However, of the two Soria is more likely to falter which could leave Jones with the bulk of save opportunities. I believe both RPs will be traded at some point though, leaving the door open for someone else to pick up saves. At this point, that door is wide open. Rays closer Alex Colome has had a tough week, allowing runs in 3 of his 4 appearances including one blown save. His season ERA sits at 11.25 and his WHIP at 3.50, none too pretty. Setup man Sergio Romo is next in line if Colome continues to falter. Romo’s 8 Ks in 4.1 innings are impressive but his 1.62 WHIP is far from elite. Actions to take: Colome owners sit tight. The Rays seem likely to stick it out through this rough patch. If you are concerned, add Romo just in case Colome doesn’t figure things out. Arodys Vizciano took a loss last Saturday, then blew his first save of the season on Wednesday. His command is hurting him, as he’s walked 6 batters in 5.2 innings of work. A.J. Minter looms as the CLEW. He’s yet to allow a run on the season and struck out the side while notching a hold on Wednesday. Actions to take: Vizciano has not been the most trustworthy of closers. He’s been in and out of the role over the last two seasons. His performance thus far in 2018 leads me to believe he may experience similar flux this year. I wouldn’t drop him yet, but A.J. Minter is worthy of an add for save speculators. The hard throwing lefty projects for a strikeout rate of nearly 12 per 9. Brad Brach recorded the Orioles’ last three saves and has not allowed an earned run in his last 5 appearances. It was not all smooth sailing though. On Sunday, Brach got himself in and out of a bases loaded jam with a 1 run lead against the Yankees. He walked two, then made an error fielding a bunt due to two walks and an error. He then got Aaron Judge to ground into a 1-2-5 double play, and subsequently struck out Giancarlo Stanton. Meanwhile, Mychal Givens continued to be shaky. Since last week, Givens had one good outing of 2.0 innings with 0 ER, 3 Ks, 0 H, and 2 BB, but he also had another dud outing of 1.2 innings, 3 ER, 1 HR, 1K, 3 H, and 2 BB. The walks are a major concern, as is the fact that Givens entered both games with the Orioles trailing. Darren O’Day gave up a home run on Tuesday and took the loss, but he bounced back Wednesday with a hold and a strikeout in 1 inning of work. His mustache looks great too. Actions to take: I’m not sold on Brach just yet, but the strong week gives him increased job security. Continue to hold him in a saves league. Mychal Givens’ struggles are a concern and Darren O’Day likely jumps him for setup duty and next-in-line closer. I’m not giving up on Givens yet, but it’s safe to cut bait in saves leagues if you haven’t already. In leagues that value a hold, I would hang onto Givens a little while longer, as I think he will bounce back from his slump. The Cardinals re-called Greg Holland on Monday and threw him right into the fire with an appearance in the 10th inning. It did not go well for Holland. He issued 4 walks, one of which was intentional, and was removed from the game recording just one out. Bud Norris replaced Holland and got out of the inning allowing just one inherited runner to score, saving Holland’s ERA from being too gaudy. We can chalk that appearance up to rust. Holland’s second appearance was much better, going one scoreless inning and allowing just one walk. Actions to take: None. Holland has proven his skills in the past and should be just fine going forward. Joe Jimenez seems to be coming into his own if his early success is any indication. Jimenez was a highly touted relief prospect who struggled in his rookie season last year, posting an ERA of 12.31 and a WHIP of 2.11. So far in 2018, Jimenez is yet to allow a run and boasts a 0.75 WHIP in 5.1 innings, including 4 strikeouts. Actions to take: Shane Greene is doing a fine job closing games for the Tigers, but Jimenez is rising in the ranks and worth a look in holds leagues. Adam Ottavino, COL – Ottavino pitched 5 innings, striking out 8 and allowing no walks and one hit. He recorded two wins and a hold. David Robertson, NYY – Robertson pitched 4.2 innings of shutout ball. He recorded 1 hold, struck out 7, and did not allow a baserunner. Jeurys Familia, NYM – Familia pitched 3.2 innings and picked up 3 saves. He struck out 5, walked none, allowed two hits, and did not allow a run to score. That’s all for this week, thanks for reading. Feel free to drop a comment below and I’ll be back next week with another Bullpen Briefing. 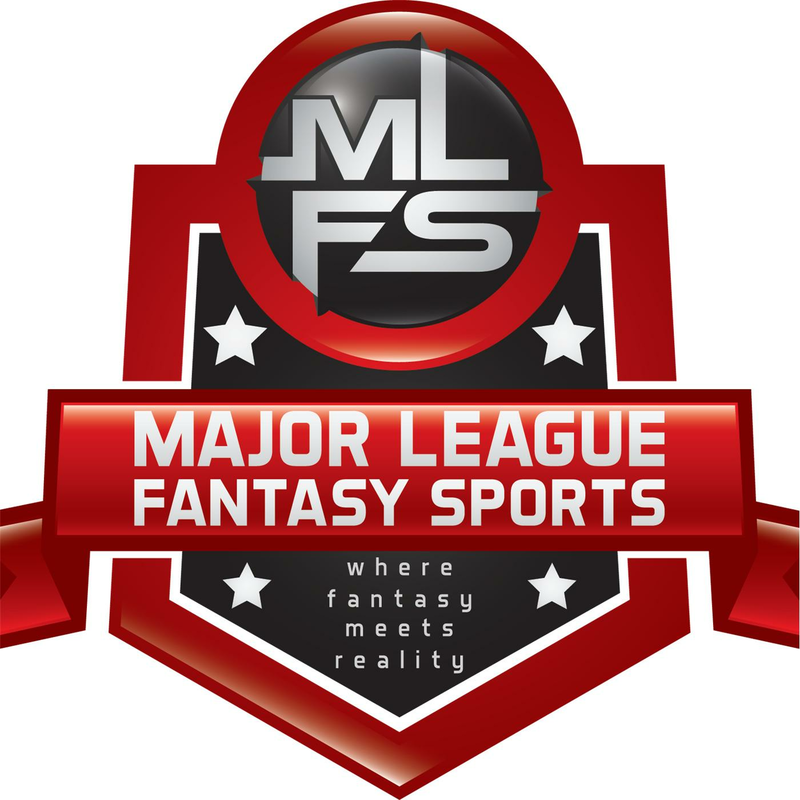 Major League Fantasy Baseball Radio Show: Join Corey D Roberts, and Kyle Amore live on Thursday April 12th, 2018 from 8-9:30pm EST for episode #114 of Major League Fantasy Baseball Radio. We are a live broadcast that will take callers at 323-870-4395. Press 1 to speak with the host. We will the latest information in the world of fantasy baseball. Our guest this week is Joe Iannone. Joe is a writer with majorleaguefantasysports.com. He focuses on spot starting pitchers for the coming week. His articles publish every Sunday morning at 7 am EST. One of our most popular writers so be sure to check him out.